This is the ElevateShrimp 2.0 model. They look awesome, and so does your moss. I am surprised that they changed the suction cups on this model. The first model does not have the notches on the side, but it has awesome suction cups that are oversized and incredibly strong. Looking forward to see how they work for you??? 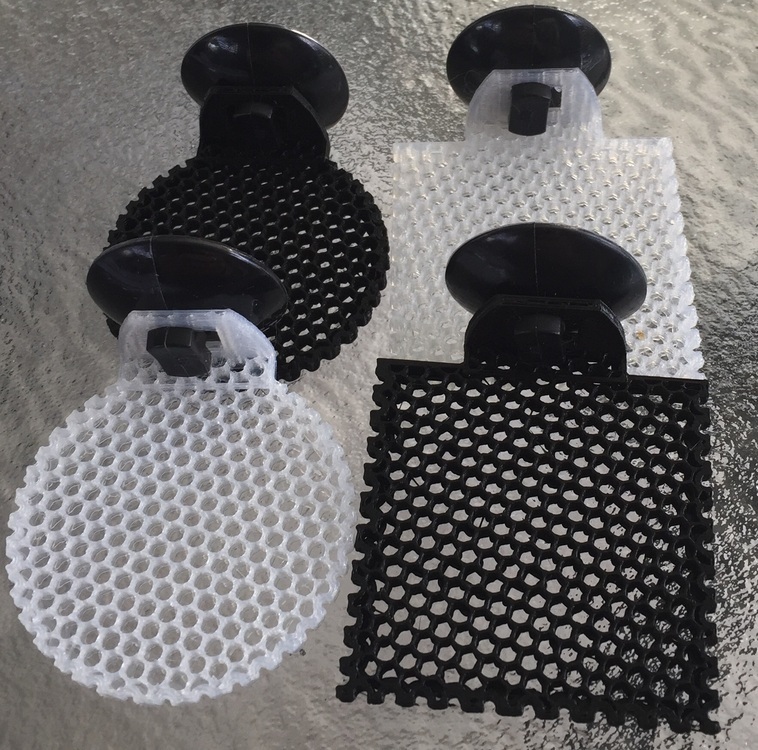 I look forward to your feedback regarding the suction caps, I will enquire with supplier for spares, a great idea. Instead of a white suction cap, I have on order a black version. I think aesthetically they should work for many peoples tanks. @KeenShrimp These are from a different supplier to Elevate shrimp, but yes a very similar piece with different refinements. 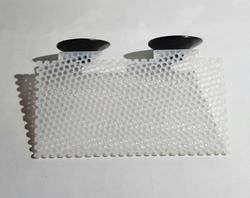 Other items on their way include a 10x5 double ledge (black and white) and vertical moss wall 10x5cm (black and white). The picture below is of the oval version, I have opted for a rectangular unit instead. Hopefully on hand in a couple of weeks time. ? Thanks again jc! Look forward to seeing that Cameroon moss growing lush!!! Great write up! I definitely think that the black looks better. 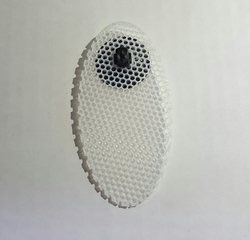 I like the look of how the actual mesh part connects to the suction cap so its not just gonna fall off. The black one looks really good especially since most of my tanks have a black background! I am very very keen on the vertical moss wall. I imagine weeping moss on it would look really nice! Can't wait! You know I will sing out when they arrive in! ? You know I will sing out when they arrive in! Are you getting the black moss wall ones ? Yes. Black will be available in all styles. Only limited numbers to test the waters, but have a feeling black may be popular! Just an update. Cameroon moss is growing well and I have started a series of other moss on new ledges. Love these ledges. Looking good @jc12 thanks for the update. 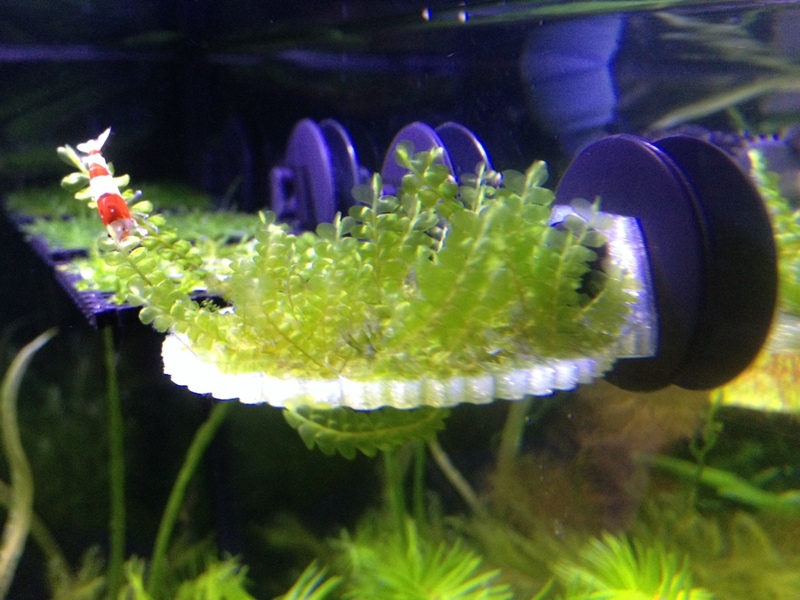 I noticed recently that some of my java moss seems to have very bright red spiky things growing from some main stems. Most of it is near the top of the tank (and therefore, the light). Is it an algae of some sort? Should I leave it be or pluck it all out? I've recently got into mosses after receiving small portions of about 14 varieties from a friend as a bonus from a purchase. When they arrived I wasn't exactly sure what to do with them as before this I had only ever grown the basics (eg. Java Moss, Peacock Moss, Flame Moss, etc.) and all of a sudden I have rare mosses like F. splachnobryoides and F. zippelianus just sitting in clip-seal bags on my dining room table. Suffice to say I had a little problem as my tanks were full to the brim with other stuff, and as a stickler for quarantine I wasn't going to have them sharing the same tank. A lot of the mosses also needed high light, low temperatures and CO2. So I began thinking... and thinking... and thinking. And eventually I came up with an ingenious idea to give them high light, easy access to CO2, low temperatures and all the other things they needed, all while keeping them separate from one-another. I decided on growing them emerse (as I have had luck with Echinodorus and Cryptocorynes that way in the past). However, I wasn't too keen on using the soil mixes I had used before as they always absorbed too much water and ended up covering the medium in algae, so knowing this I decided on perlite instead and I would be mindful to keep the liquid level a lot lower than the top of the perlite to avoid algae potentially covering the mosses. Be mindful your perlite cannot fall out of the pot, however, as the pot I used had large holes on the bottom of it (I used filter wool to plug them). For extra growing help I decided to switch out water (which I had used when growing plants emerse in the past) for BioJuice (a seaweed mix for hydroponic use which promotes vegetative growth, not flowering or root growth like most) to use as the liquid, and for each pot which a moss to be contained inside a bag for humidity which I then put onto my verandah in a place where it would not be too hot, but would also get a decent amount of sunlight with the moss laid out on top of the perlite. This'll be a work in progress. It's not too clear now but I'll work on that later today and into the future. Better photos will come, don't worry! The location of the bags on my verandah. A close view of the set-up (excuse the fog). This one is already growing after about a week. Here are the photo's of the tank and my equipment, and shrimps. My bee, somehow the eggs are gone and a few shrimplets are swimming, but they are not red and white. Top of my tank, I have cleared away more of the floating plants, they will grow back in a few days. Two of the three Blue Bolts. Full view of the tank, but not a pretty site. My Fluval Bluetooth LED light with dust to dawn function My UV light at the back of the tank, with water flow from the cooler and back to the tank My cheap USD40 30L water cooler, enough for a 16L Nano tank like mine, need a larger one if the tank is bigger. My intense Co2 system.